Description: Set includes stainless burner, regulator with 6' hose.Great for frying. Description: Set includes stainless burner, 0-60 psi regulator, and a 6 ft.hose. 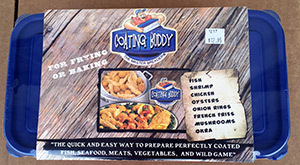 Great for Crab, Shrimp or Crawfish boils. Description: These boiler pots are wonderful. The construction is top-notch. Heavy-duty handle, and recessed lid for faster boiling. 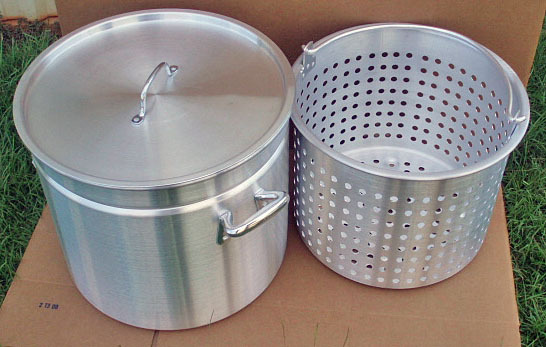 Features: Basket has risers on the bottom to keep food from sticking or burning. We've seen others, but none as well made as these!!! 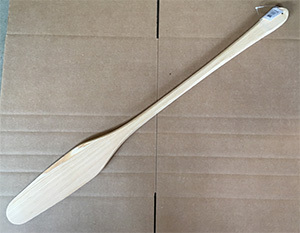 Description: 35" wooded paddle for mixing gumbo or stirring your next crawfish boil. Straight from the bayou. Description: Measures 11" x 6". Hand grips for easy shaking. Large holes to allow lots of batter to coat your favorite seafood, veggies or chicken. Description: Warranteed. Designed to be suspended, with hanging hook included. Flexible drive cable. 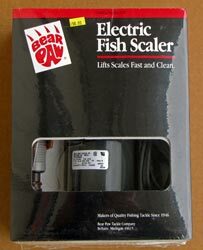 Features: Hard coat anodized scaling head with Teflon impregnated coating for easy cleaning. Scaling head deflects scales. Easy & safe to use on/off switch. Description: One piece design, injection molded, polyproylene.No seams for bacterial growth, meets FDA & OSHA requirements.Holds 82 oz..
Color: color may vary. Royal blue at this time. 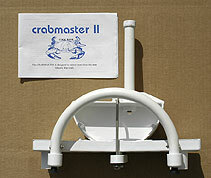 Description: This machine removes meat from raw blue crabs. Complete with instructions and cooking tips. No shell, easy cleanup, been around for over 30 years!! Description: Best claw cutter on the market!! 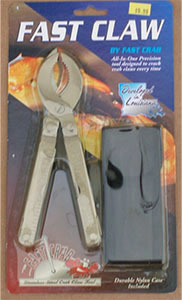 !Also has pick, knife, bottle opener inside handle.Folds up and stores in handy carrying case. Stainless too! Crab claw cutter. Makes perfect Restaurant Style claws. Please be sure to check out our large selection of Dexter-Russell knives!